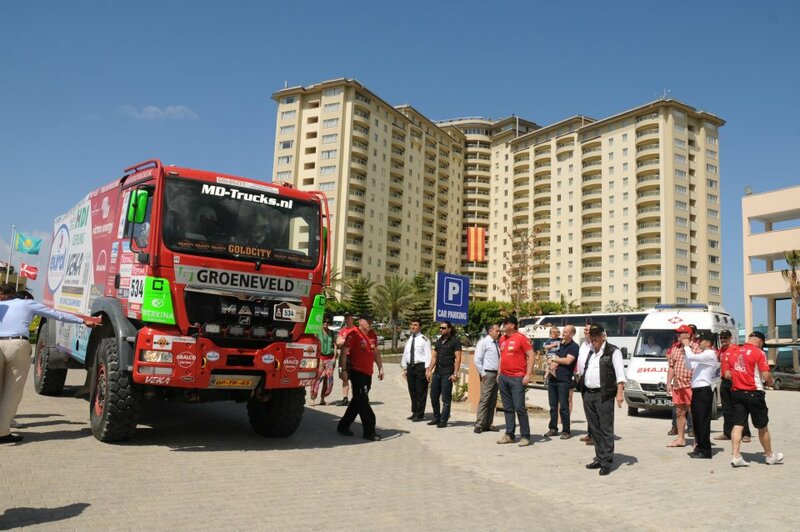 Holland’s most popular Rally Team Eurol Veka Team which consists of approx 100 people stayed in Goldcity. This team which is sponsored by the most prestigious firms carried out plenty of test drives on our specially designed off road track in Goldcity’s Sport Complex. They had the opportunity to explore Alanya outside their training times. The team practiced throughout the day and relaxed in the evening in one of the many restaurants in Goldcity accompanied by music to eliminate the weariness of the day. They didn’t neglect to enjoy the Barbeque party in Gold Sand Natural Park. Team Owner Peter Versluis said that they loved so much the off road track which was designed especially just for them that they will definitely come again next year.